Harald Lepisk is a passionate lifestyle-entrepreneur and a charismatic creativity trainer. Committed to empower young dreamers to become creative leaders. 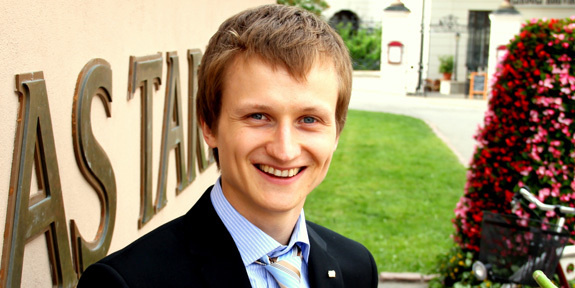 Harald is an outstanding creativity trainer from Estonia. He brings the energy, excitement and encouraging environment to the training scene. He incorporates the clarity of a technology consultant, the playfulness of an actor, the charisma of a DJ, the holistic approach of a manager and the passion of a leader. Inspiration facilitator and partner at Victory Trainings. Board member at Haraldi Grupp. Vice president on individual development at JCI Estonia. Local chapter president at JCI Toomemäe. JCI Estonia Training Institute director. Technology consultant at online store. He has delivered more than 300 trainings with the sum of 10 000 participants; trained young leaders, corporate teams, entrepreneurs and educators in Estonia, Latvia, Lithuania, Norway, Denmark, Romania, Germany and Catalonia (Spain) + motivational speeches in Hungary and Brussels. He is currently JCI Certified National Trainer. Harald is talented in many ways, yet his most outstanding achievements are in the fields of entrepreneurship, inspiring creativity and effective training. He can train you to become a creative leader, a passionate speaker or a better version of yourself. 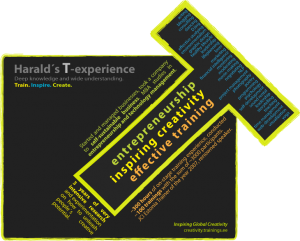 Get Harald to inspire young leaders in your local community. Pingback: Review Business Days editia a-2-a, ziua 1 « Blog puzzleshop.ro – Puzzle din poza ta!